This month’s Unblurred features oil on canvas works and pencil illustrations by Jody Perigo. thisisjody@hotmail.com. Awesome work Jody. You are so talented! Lisa, thanks for sharing these. They are incredible. thanks for stopping by, lizzie. 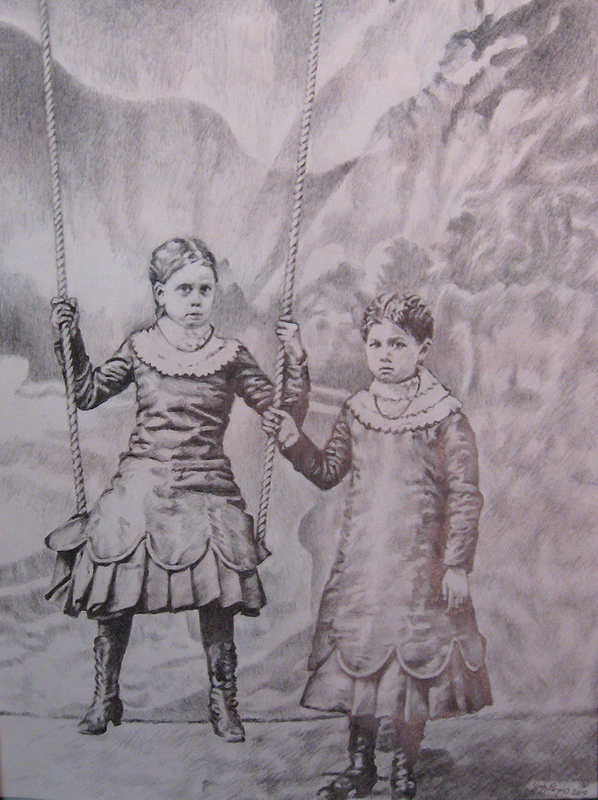 my favorites are pencil sketches – such detail in her work. Jody, you are one talented lady! This is amazing! i’ll be sure to let her know – thanks! Isn’t it awesome? We have people sitting on the stoop outside, playing music and loving Jody’s paintings (I’ll have to let her know, thanks!). Thanks Lisa, Myrtle is fascinating to say the least–strange, she looks like the young lady in “Lover’s Secret” and in “Hand in Marriage”, albeit updated. I think a little bit of the artist goes into every portrait – my husband just finished one recently and the character in the painting looks a bit like him too (he he!). Jody’ work is always mind blowing! Thumbs up! Geez, these woke me up! Bizarre images but obviously well done–a bit Alice-in-Wonderlandish. Thanks for sharing. 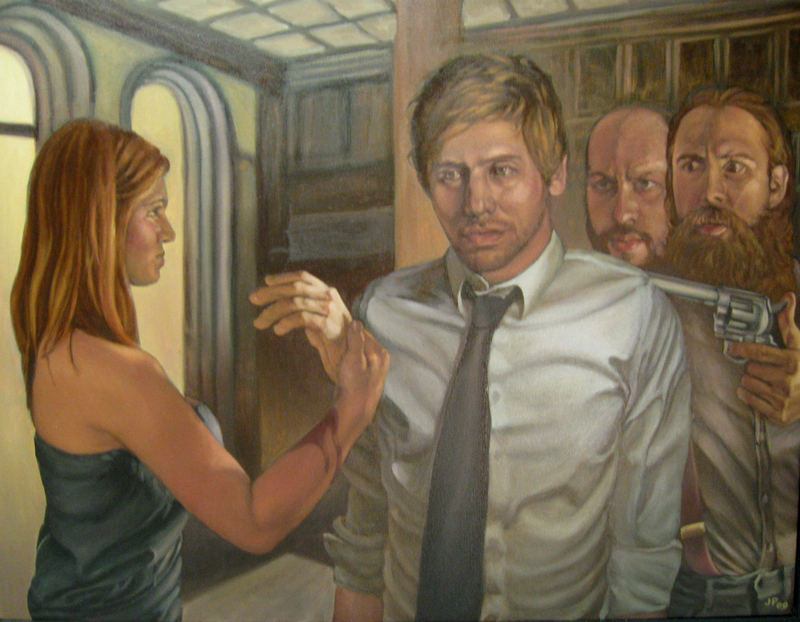 Jody’s work does have an ‘alice’ quality to it (she’s actually a character in one of the paintings). 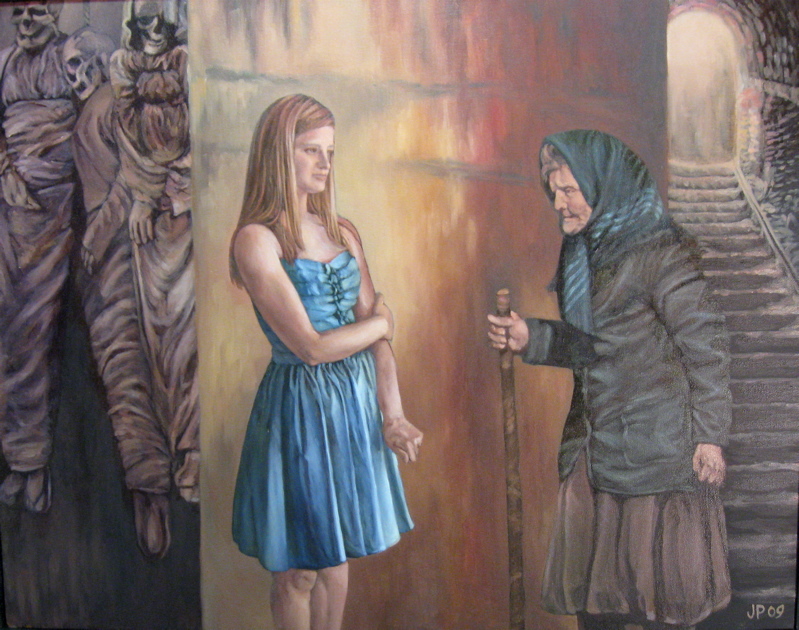 the paintings were done for a fairy tale-themed show a few years ago. 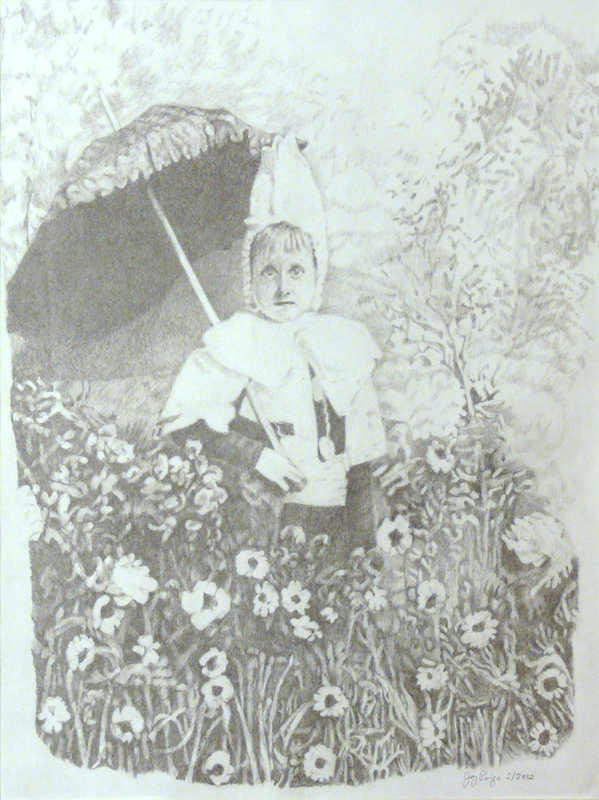 The illustrations are recent. 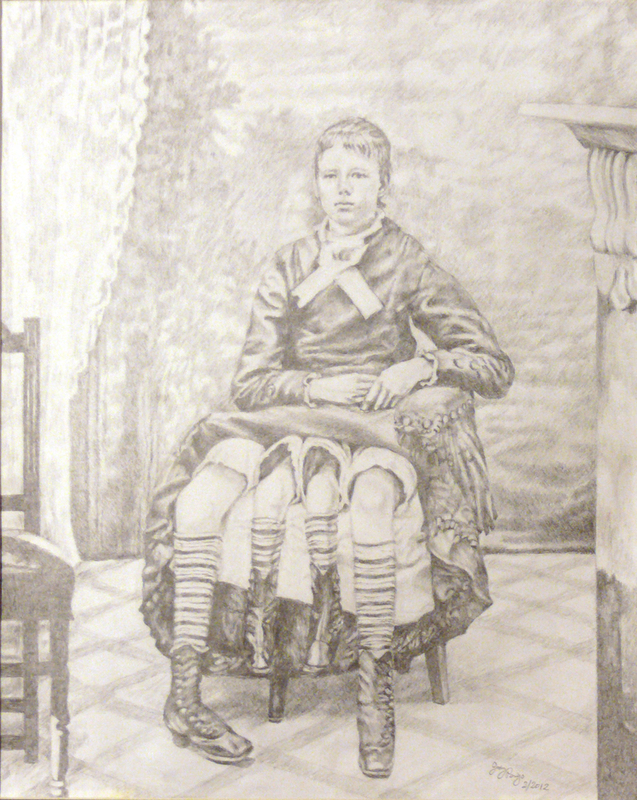 Myrtle is a drawing of Myrtle Corbin, in case you are interested in Myrtle’s history. i thought you’d love it! i’ll be sure to let jody know – her work is haunting and wonderful.